Walk with us as we contemplate our world at peace! This 5K walk begins at the SE Park Ave. Max Station and can be completed at our leisure anytime between the hours of 10:00 AM - 5:00 PM. Please visit milwaukierotary.org/event/2018-peace-walk/ for route maps and more information. 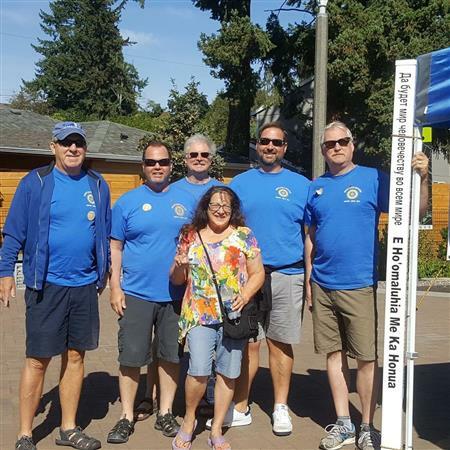 Donations can be made to The Milwaukie Rotary Foundation benefit various projects of the Peace-building committee of the Rotary Club of Milwaukie and the Rotary Club of Gladstone/Oak Lodge. Current projects include planting Peace Poles around Milwaukie and supporting anti-bullying and human trafficking awareness and deterrence programs.